We're pretty sure you know what Instagram is - and you have probably heard of the possibilities involved with advertising your products. If not, check out our infographic on this subject. In this blogpost we're going to skip the intro and cut straight to the good stuff! We'll find out what Instagram Dynamic Ads are and the various ways they can be used to give significant boosts to CTR, revenue and ROI. 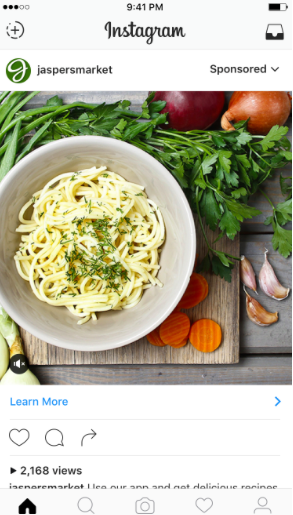 First things first, what are Instagram dynamic ads? This is a relatively new range of ad formats, the aim of which is to promote targeted products to customers who have browsed, added to cart or purchased items on their website or mobile app. The major advantage for those considering leveraging sales through Instagram Dynamic Ads is that you can simply use the data feed you have already provided for your Facebook Catalogue, so you therefore only need to create a single ad. What form can your ad be? The single image ad is one you may have already implemented if you are using Facebook. As the name would suggest, each of these dynamic ads contains a large (high-quality!) image, ad text and a call-to-action such as 'Learn More' (see image, above). Use dynamic video ads to target your audience with engaging, eye-catching videos or GIFs that display offers and product listings relevant to the viewer. Though these are not yet dynamic, but are a great ad format to consider. 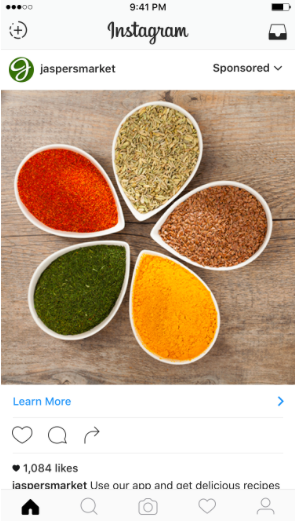 You can showcase 10 images or videos into a single ad, and they are recognizable from the dots under the image which show the viewer there is more than one image (see photo above). Use these to give a step-by-step guide of your product or give a more complete overview of your brand. 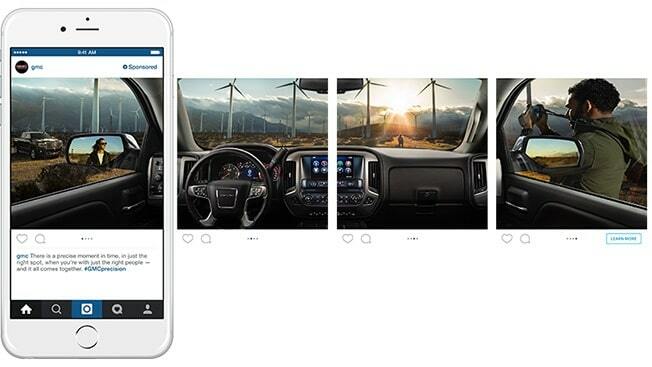 If you are already using, or thinking about using, Facebook Dynamic Ads, then Dynamics Ads for Instagram are already included in the setup. 1. The first thing to do is to the install the Facebook Tracking Pixel on your website, so you can track browsing behaviour and website visitors. 2. Now make sure your data feed not only meets Facebook's requirements, but is of the best possible quality, optimized with a product feed management tool to ensure it is achieving its full potential. As with any data feed that uses dynamic targeting, the most information you can provide, the more likely your ad will be to reach the right audience. 3. Create your dynamic ads and launch your campaign. Get in touch or book a one-on-one meeting to hear more about how we can get you started with Instagram Dynamic Ads, we offer free setup and a Customer Success management program to ensure you get exactly what you need from your feed management tool.